Namecheap announced that it will be discontinuing several of the Uniregistry and XYZ domain name extensions (plus .rich and .luxury) on September 7, 2017. Kudos to Namecheap! The domain name registrar said that it has been increasing the number of top level domain names, or TLDs, that they offer to our customers but from time to time they have to discontinue support of some TLDs. This time the Uniregistry New gTLDs face significant price increases from the registry. As a result, Namecheap has decided to discontinue the sale of these domains to protect its customers. Namecheap will also be sunsetting extensions that have “extremely” high registration and renewal cost such as .auto, .car and .cars. These are extensions that are run jointly by the Uniregistry and XYZ registries. Namecheap stopped supporting .XYZ domain names in October 2016. This was big decision to make but I think it was the right thing to do given the .xyz negative track record in the domain name industry. In May 2017 Tucows decided to drop 9 of the Uniregistry extensions. Another good decision. Namecheap is stopping support for these 9 same extensions plus .tattoo and .christmas. The difference between Tucows and Namecheap is that Namecheap will be allowing renewals of existing domain names. GoDaddy suspended all Uniregistry extensions after the price increases were announced but then reinstated all of the extensions after Uniregistry said that it will be grandfathering prices on SOME of the extensions. My opinion has been that registrars should drop .XYZ domains because of many reasons and incidents over the years including this: Another reputation disaster: .XYZ takes back tens of NNN.xyz domain names. This post has 99 comments and is a good read. I am glad Namecheap has dropped .xyz domains. I have also wondered why registrars are dropping several Uniregistry extensions while keeping .auto, .car and .cars that are selling for $2,500+ per year. Namecheap has made that right as well. *Although the announcement says that .theater is going to be discontinued I believe this is a typo. Namecheap must have meant .theatre. .Theater is a Donuts extensions selling at about $70 per year while .theatre is a XYZ extension selling at about $1,000 per year. .Auto, .car and .cars are extensions run jointly by the Uniregsitry and XYZ registries. .Security, . Protection and .Theatre are run by the XYZ registry. What if I Already Own One of these TLDs or Want One? 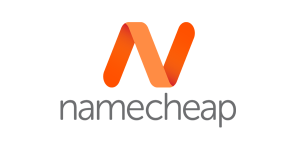 After September 7, you will no longer be able to buy these domains from Namecheap. However, they will still fully support existing domains during their active term, and you will be able to renew them at the current price (with the exception of .christmas and .tattoo TLDs, where there will be a $10 price increase (to $35.88) to renew). If you are interested in one of the TLDs that Namecheap is sunsetting and want to have the ability to renew them at the current price, hurry up and register these domains by Sept 7. Up until our September 7 deadline, your renewal price will stay exactly the same for all of these domains. In addition to the above, Namecheap has four TLDs they will continue to support from Uniregistry, but which will have a price increase for renewals and registrations. Trouble in paradise? Uniregistry staff departures continue! I am not astonished, Namecheap has no pity with competition… (and with anyone BTW). Don’t imagine anything else, you will be in the error. Everybody will remember their legendary opportunism this past decade… Everytime a registrar was in difficulty for any reason they came with fake excuses as if they were the saver, simply to crunch competition’s market. In another note Frank has a strong problem, one day he should seriously consider to sell his registrar or registry business, there is a contradiction there and this is killing him quietly as you see it there. Good Call Namecheap, way to step up your game! Besides, Uniregistry is your main competitor, it’s in YOUR best interest not to sell any of their junk new gtld extensions. I do not think “this is killing” Frank Schilling. His business could be hurt many time for what he did in the past if he was in different industry. But fortunately for him he is in the domain business where many domainers came to domaining because they were losers in everything else so obviously they are not very smart. Domaining have seemed to them easy because you need to just register names….of course over 90% of them just loosing money, time etc. Person like Frank can manipulate them as he wants. To run a real business successfully you have to be smart, intelligent, know many things etc. There is a huge difference between a business person and a domainer. Obviously the latter one is not respected in business world. Just go visit namepross you will see bunch of funny people trying to convince each other who is right, who knows better, know more etc. Successful people are too busy to spend time like this. Goddady and NameCheap has made their decision; so let it be. Smart, smarter and smartest; where are you? These two registrars leave no room for domain names drama momma. This because, they know you are smart; but they are smarter. Next time you used the toilet, please put the seat back on…. ?